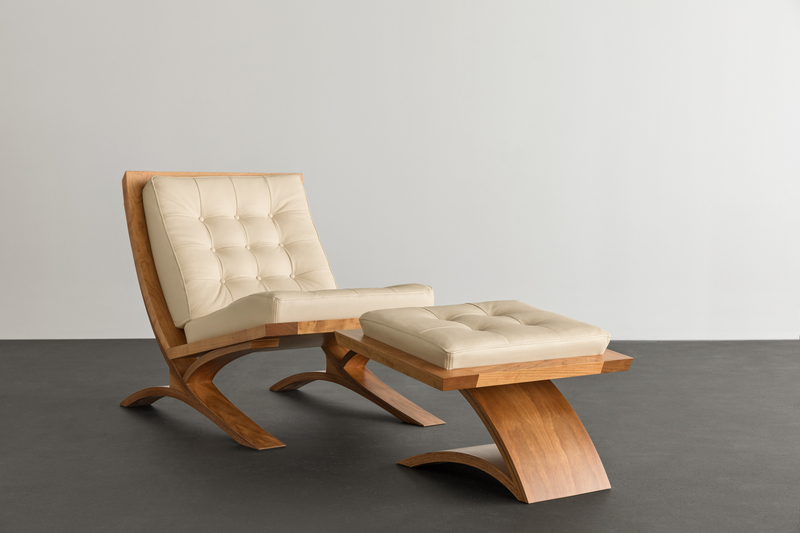 The Vita Ottoman follows the cues of its natural companion, the Vita Chair. 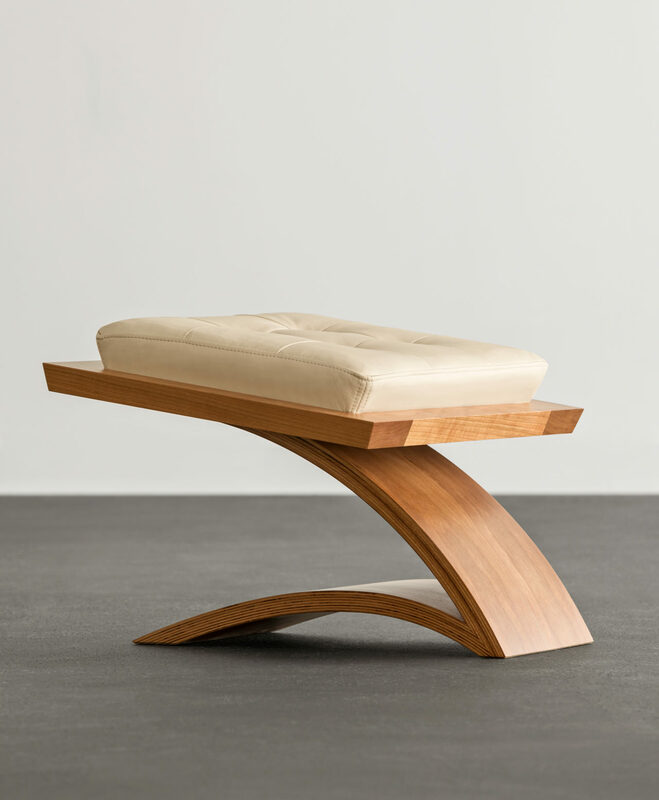 Informed by the designs of “less is more” architect Mies van der Rohe, this ottoman is also a clear ambassador of the Moser aesthetic – retaining only what’s necessary, and nothing more. Built with graceful arcs and engineered with purposeful cantilevers, the base of the ottoman showcases both the beauty and strength of wood. 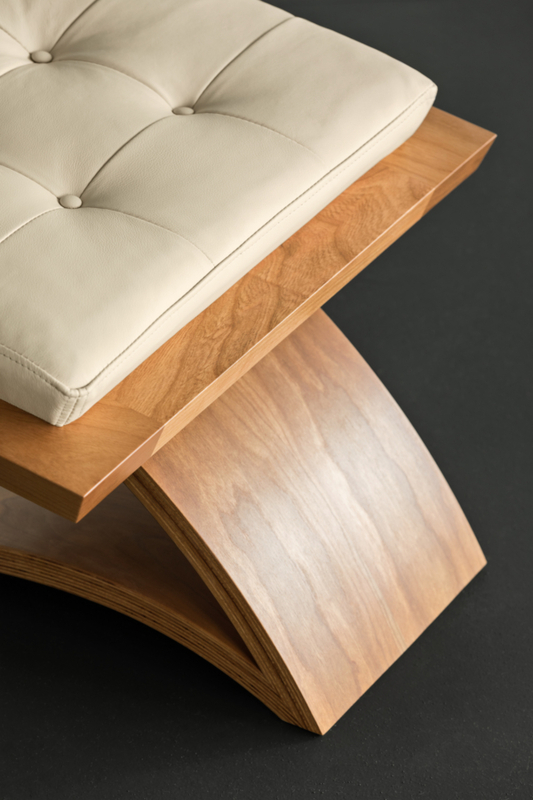 Topped with a tufted cushion covered in hand-stitched leather, the Vita Ottoman is a welcome complement to the Vita Chair.